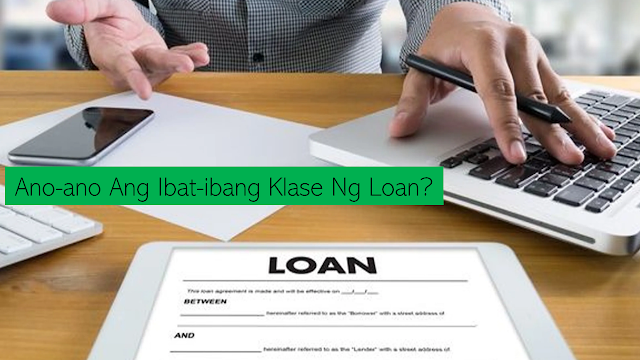 GOOD NEWS to all new graduates! 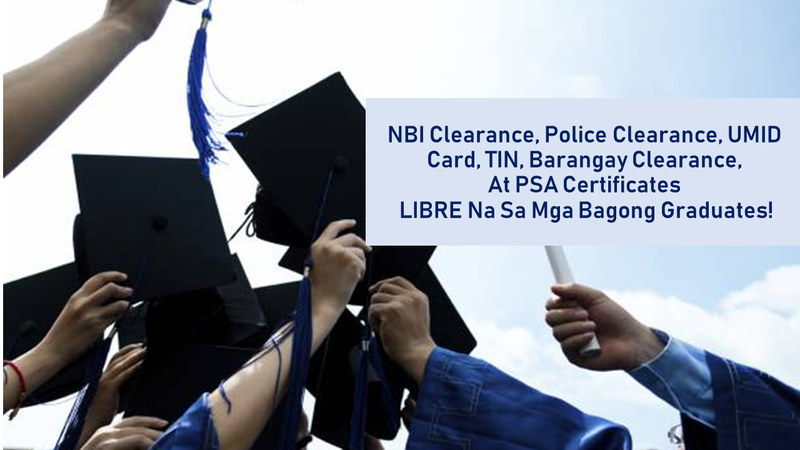 You will not worry about any fees on the documents needed for your job application like NBI Clearance, Police Clearance, UMID Card, TIN, Barangay Clearance, and PSA Certificates, the government will take care of it for you. 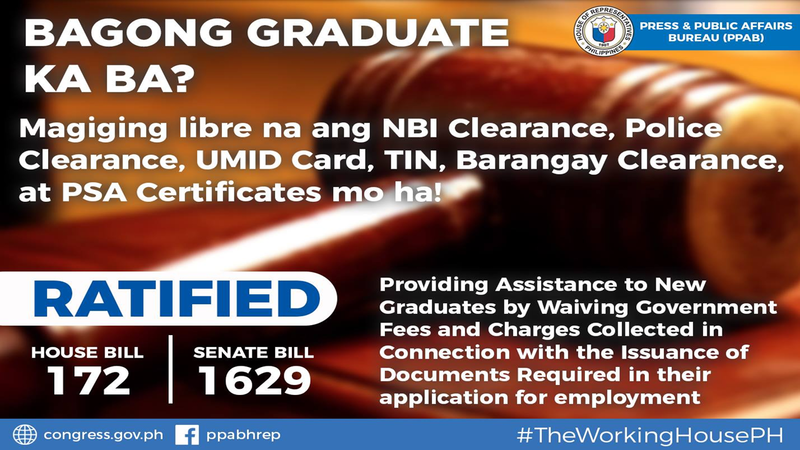 The House of Representatives and the Senate recently ratified a bill that will assist fresh graduates who are seeking employment. The ratified House Bill 172 and Senate Bill 1629, once passed into law, mandates that government agencies, government-owned and controlled corporations (GOCCs) and local government units (LGUs) shall not collect fees or charges from new graduates for documentary requirements relative to their employment. 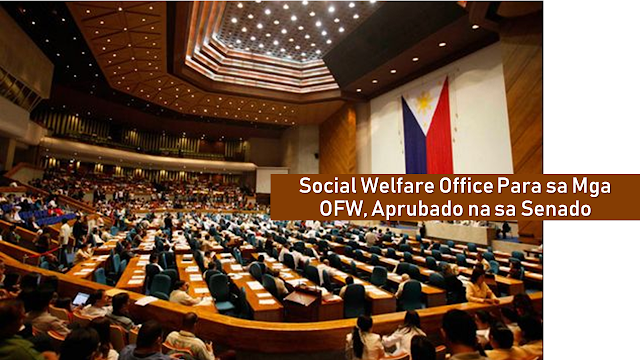 Authors of the bill include former Rep. Karlo Nograles, Rep. Koko Nograles, Congw. Linabelle Ruth R. Villarica, Estrellita Ging Suansing, Horacio "Toto" Suansing, Jr., Victorial Isabel Noel, Raul "Boboy" C. Tupas, Neil Abayon, former Rep.Emmeline Aglipay Villar, Tita Lorna Silverio, Cong. Kuya Jose Antonio R. Sy-Alvarado for Federalism, Gus Tambunting, Cong. DV Savellano, Angeline “Helen” Tan, Carmelo “Jon” Lazatin II, Gary Alejano, Lorna Silverio, Marlyn Primicias-Agabas, Randolph Ting, Raymund Democrito Mendoza, Mark O. Go (Baguio), Julieta Cortuna, Congw. Ate Rida Robes; Senators Sonny Angara, Joel Villanueva, Grace Poe, JV Ejercito, Nancy Binay, Antonio "Sonny" Trillanes IV, and Senator Loren Legarda.